This intereractive Spain Map uses the advanced Google Maps technology to show a detailed city map of Spain and the regions and cities of Spain. 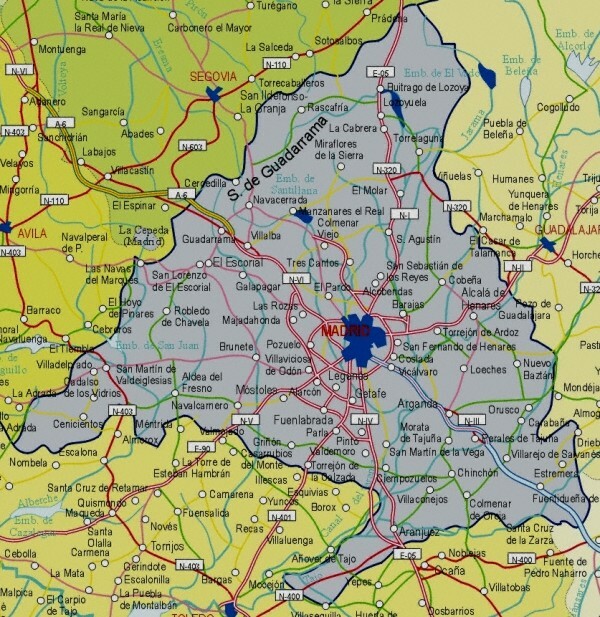 The first view of the map is centred on the capital, Madrid. You can then click on the map and drag your mouse to move to another area of the country, or use the controls in the top left zoom in or out. You can also simply enter a city name in the search box to go directly to that region.